This time next week, we’ll be gathered around a campfire, enjoying stories about GA’s river history, 1000s of years, along the Ocmulgee River, and learning about the conserted efforts of many river loving groups, in their efforts to preserve, protect, and open river access to the public. 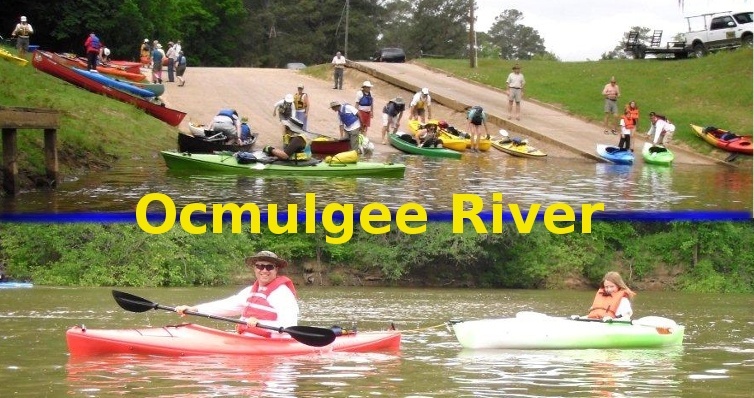 This will be after 2 full days of exploration and discovery on the Ocmulgee River, during the Friday and Saturday paddles. 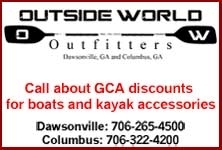 Tent camping (Pioneer Campsite), with 1 bathroom with 1 shower, several pavilions, and group firepit, along with the boat launch and the start of all paddles, is located at Mile Branch Park and Boat Launch, in Hawkinsville, GA. This is where we will gather for the Saturday night “fireside chat”. Please bring a comfortable chair. Many influencal river loving organizations are working with GCA for this event. There will be many folks participating, that have never been to a GCA event. Hopefully, we will make a lot of new friends and members. I hope YOU will be there! Campers will start arriving this Thursday. Don’t miss this “FUN, Family Friendly Paddle! If you plan to attend, please email me at mail4marieshort@bellsouth.net or call 404-202-9546 and leave a message, if you have question.